While Kanye West’s Yeezy Boost lineage continues to reach unmatched levels of success, his fans are all eager for new designs in the footwear department. 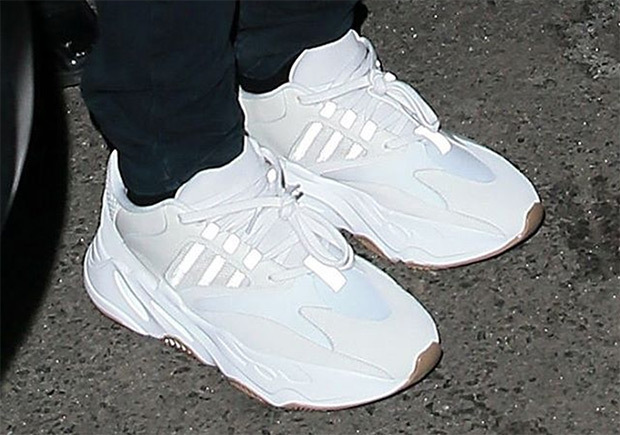 While more iterations of the Yeezy Boost line are certainly in store, this Yeezy Runner aka the Yeezy 700 Runner aka the Yeezy Calabasas Runner, first spotted on Kanye West’s feet in early January, might be what’s coming next from the adidas Yeezy line. Kanye was spotted again in the shoes currently dubbed the Yeezy Runner, only this one features an all-white upper and a gum sole. Kanye’s Yeezy Season 5 show is scheduled for later today, and with his Calabasas adidas track pants and other sportswear-geared product likely to be shown, this Yeezy Runner might make its runway debut. Stay tuned for the latest.